At the turn of the 21st century, it became pretty clear that even our cars wouldn’t escape the Digital Revolution. Years before anyone even uttered the term “smartphone”, it seemed obvious that automobiles would not only become increasingly computer-laden, but they’d need a way to communicate with each other and the world around them. After all, the potential gains would be enormous. Imagine if all the cars on the road could tell what their peers were doing? Forget about rear-end collisions; a car slamming on the brakes would broadcast its intention to stop and trigger a response in the vehicle behind it before the human occupants even realized what was happening. 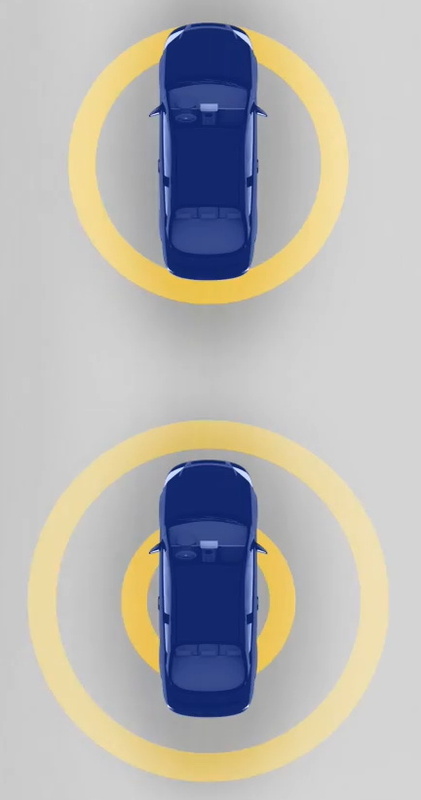 On the highway, vehicles could synchronize their cruise control systems, creating “flocks” of cars that moved in unison and maintained a safe distance from each other. You’d never need to stop to pay a toll, as your vehicle’s computer would communicate with the toll booth and deduct the money directly from your bank account. All of this, and more, would one day be possible. But only if a special low-latency vehicle to vehicle communication protocol could be developed, and only if it was mandated that all new cars integrate the technology. Except of course, that never happened. While modern cars are brimming with sensors and computing power just as predicted, they operate in isolation from the other vehicles on the road. Despite this, a well-equipped car rolling off the lot today is capable of all the tricks promised to us by car magazines circa 1998, and some that even the most breathless of publications would have considered too fantastic to publish. Faced with the challenge of building increasingly “smart” vehicles, manufacturers developed their own individual approaches that don’t rely on an omnipresent vehicle to vehicle communication network. The automotive industry has embraced technology like radar, LiDAR, and computer vision, things which back in the 1990s would have been tantamount to saying cars in the future would avoid traffic jams by simply flying over them. In light of all these advancements, you might be surprised to find that the seemingly antiquated concept of vehicle to vehicle communication originally proposed decades ago hasn’t gone the way of the cassette tape. There’s still a push to implement Dedicated Short-Range Communications (DSRC), a WiFi-derived protocol designed specifically for automotive applications which at this point has been a work in progress for over 20 years. Supporters believe DSRC still holds promise for reducing accidents, but opponents believe it’s a technology which has been superseded by more capable systems. To complicate matters, a valuable section of the radio spectrum reserved for DSRC by the Federal Communications Commission all the way back in 1999 still remains all but unused. So what exactly does DSRC offer, and do we really still need it as we approach the era of “self-driving” cars? 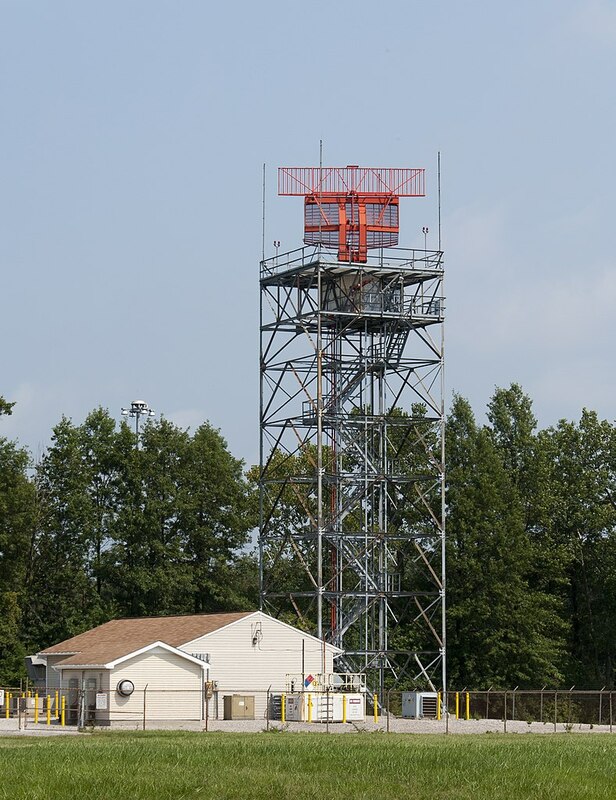 Radar is a useful tool with familiar uses such as detecting aircraft and observing weather. It also has some less known applications, such as a technology known as ground-penetrating radar (GPR). Despite the difficulty of sending and receiving radio waves through solid objects, with the right equipment it’s possible to build a radar that works underground as well. GPR is used often for detecting underground utilities, but also has applications in other fields such as archaeology and geology. For those people in these fields, a less expensive GPR was the priority of a group presenting at a 2017 National Institute of Telecommunications of Poland conference (pdf warning). The presentation goes into specific detail on how to build a GPR for around €600, much less than commercial offerings. The presentation begins by highlighting the basics of GPR, then details the hardware bill of materials for the transmitting circuit, receiving circuit, and the DC power supplies. It also details the theory behind the software needed to get the circuit running properly, and has code as well. The processing is done on a 32-bit Mbed platform, and the rest of the GPR is built with easy-to-source components as well. It’s always good to see useful hardware projects that bring costs of traditionally expensive equipment down to the grasp of average people. Even traditional radar systems are now available for hundreds of dollars, and we’ve even seen attempts at other GPR systems before as well. Thanks to [Stefan] for the tip! Ask Hackaday: How Would You Detect A Marauding Drone? The last few days have seen drone stories in the news, as London’s Gatwick airport remained closed for a couple of days amid a spate of drone reports. The police remained baffled, arrested a couple who turned out to be blameless, and finally admitted that there was a possibility the drone could not have existed at all. It emerged that a problem with the investigation lay in there being no means to detect a drone beyond the eyesight of people on the ground, and as we have explored in these pages already, eyewitness reports are not always trustworthy. It seems odd at first sight, that a 21st century airport lacks the ability to spot a drone in the air above it, but a few calls to friends of Hackaday in the business made it clear that drones are extremely difficult to spot using the radar systems on a typical airport. A system designed to track huge metal airliners at significant altitude is not suitable for watching tiny mostly-plastic machines viewed side-on at the low altitudes. We’re told at best an intermittent trace appears, but for the majority of drones there is simply no trace on a radar screen. We’re sure that some large players in the world of defence radar are queueing up to offer multi-million-dollar systems to airports worldwide, panicked into big spending by the Gatwick story, but idle hackerspace chat on the matter makes us ask the question: Just how difficult would it be to detect a drone in flight over an airport? A quick Google search reveals multiple products purporting to be drone detectors, but wouldn’t airports such as Gatwick already be using them if they were any good? The Hackaday readership never fail to impress us with their ingenuity, so how would you do it? Can You Hear What You Can’t See? It’s easy to pose that question as a Hackaday scribe, so to get the ball rolling here’s my first thought on how I’d do it. I always hear a multirotor and look up to see it, so I’d take the approach of listening for the distinctive sound of multirotor propellers. Could the auditory signature of high-RPM brushless motors be detected amidst the roar of sound near airports? I’m imagining a network of Rasberry Pi boards each with a microphone attached, doing some real-time audio spectrum analysis to spot the likely frequency signature of the drone. Of course it’s easy to just say that as a hardware person with a background in the publishing business, so would a software specialist take that tack too? Or would you go for a radar approach, or perhaps even an infra-red one? Could you sense the heat signature of a multirotor, as their parts become quite hot in flight? Whatever you think might work as a drone detection system, give it a spin in the comments. We’d suggest that people have the confidence to build something, and maybe even enter it in the Hackaday Prize when the time comes around. Come on, what have you got to lose! Jeremy Hong knows a secret or two about things you shouldn’t do with radio frequency (RF), but he’s not sharing. That seems an odd foundation upon which to build one’s 2018 Hackaday Superconference talk, but it’s for good reason. Jeremy knows how to do things like build GPS and radar jammers, which are federal crimes. Even he hasn’t put his knowledge to practical use, having built only devices that never actually emitted any RF. So what does one talk about when circumspection is the order of the day? As it turns out, quite a lot. Jeremy focused on how the military leverages the power of radio frequency jamming to turn the tables on enemies, and how civilian police forces are fielding electronic countermeasures as well. It’s interesting stuff, and Jeremy proved to be an engaging guide on a whirlwind tour into the world of electronic warfare. Want to explore the world of radar but feel daunted by the mysteries of radio frequency electronics? Be daunted no more and abstract the RF complexities away with this tutorial on software-defined radar. Taking inspiration from our own [Gregory L. Charvat], whose many radar projects have graced our pages before, [Luigi Freitas]’ plunge into radar is spare on the budgetary side but rich in learning opportunities. The front end of the radar set is almost entirely contained in a LimeSDR Mini, a software-defined radio that can both transmit and receive. The only additional components are a pair of soup can antennas and a cheap LNA for the receive side. The rest of the system runs on GNU Radio Companion running on a Raspberry Pi; the whole thing is powered by a USB battery pack and lives in a plastic tote. [Luigi] has the radar set up for the 2.4-GHz ISM band, and the video below shows it being calibrated with vehicles passing by at known speeds. How does a submarine talk to an airplane? It sounds like a bad joke but it’s actually a difficult engineering challenge. Traditionally the submarine must surface or get shallow enough to deploy a communication buoy. That communication buoy uses the same type of radio technology as planes. But submarines often rely on acoustic transmissions via hydrophones which is fancy-talk for putting speakers and microphones in the water as transmitters and receivers. This is because water is no friend to radio signals, especially high frequencies. MIT is developing a system which bridges this watery gap and it relies on acoustic transmissions pointed at the water’s surface (PDF warning) and an airplane with high-precision radar which detects the oscillations of the water. The complexity of the described setup is mind-boggling. Right now the proof of concept is over short distances and was tested in a water tank and a swimming pool but not in open water. The first thing that comes to mind is the interference caused by waves and by aerosols from wind/wave interactions. Those challenges are already in the minds of the research team. The system has been tested to work with waves of 8 cm (16 cm measured peak to trough) caused by swimmers in the pool. That may not sound like much, but it’s about 100,000 times the surface variations being measured by the millimeter wave radar in order to detect the hydrophone transmissions. Add to that the effects of Doppler shift from the movement of the plane and the sub and you have a signal processing challenge just waiting to be solved. This setup is very interesting when pitched as a tool for researching aquatic life. The video below envisions that transmitters on the backs of sea turtles could send communications to aircraft overhead. We love seeing these kinds of forward-thinking ocean research projects, like our 2017 Hackaday prize winner which is an open source underwater glider. Oceanic studies over long distances have been very difficult but we’re beginning to see a lot of projects chipping away at that inaccessibility.